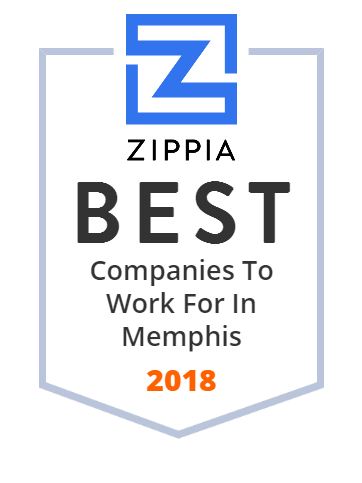 We hand-curated a list of the best companies to work for headquartered in and around Memphis, TN using data on salaries, company financial health, and employee diversity. Baptist Memorial Hospital-Memphis is a 706-bed medical facility in Memphis, Tennessee. Accredo is a specialty pharmaceutical and service provider for patients with complex and chronic health conditions. Search property for sale and find a realtor with Crye-Leike. Services in Tennessee, Arkansas, Mississippi, Alabamba, Georgia, Florida and Kentucky. Wunderlich Securities is a brokerage firm offering equity sales and trading services. First Horizon National Corporation is a bank holding company based in Memphis, Tennessee. Its banking subsidiary, First Tennessee, is the largest bank in Tennessee and the 4th largest regional banking company in the Southeast. It is the 14th United States bank on the list of oldest banks in continuous operation. The company provides financial services including banking, wealth management, insurance, and trading services. ServiceMaster Global Holdings, Inc., is a public Fortune 1000 company that provides residential and commercial services. With seven hospitals, multiple outpatient and diagnostic centers, and a growing network of physician practices, Methodist Le Bonheur Healthcare offers Memphis and the Mid-South world-class healthcare services. Sedgwick CMS Holdings, Inc., through its subsidiaries, provides claims and productivity management solutions to employers in United States and Canada. It offers claims administration and related cost management services in the areas of workers compensation, short and long-term disability, FMLA, and other employee absence programs, as well as general, automobile, and professional liability. The company was incorporated in 1999 and is headquartered in Memphis, Tennessee. Sedgwick CMS Holdings, Inc. is a former subsidiary of Marsh & McLennan Companies, Inc.
Fred's Inc. and subsidiaries operate in 15 states in the southeastern United States with 304 full-service pharmacy departments located within Fred's stores, including four franchised locations. ServiceMaster by Stratos of Memphis, Tennessee, offers professional cleaning and janitorial services in Tennessee, Mississippi and Alabama. St. Jude Children's Research Hospital, founded in 1962, is a pediatric treatment and research facility focused on children's catastrophic diseases, particularly leukemia and other cancers. Container drayage, customs brokerage, expedited services, freight forwarding, warehousing, chassis provisioning and secured container storage services.